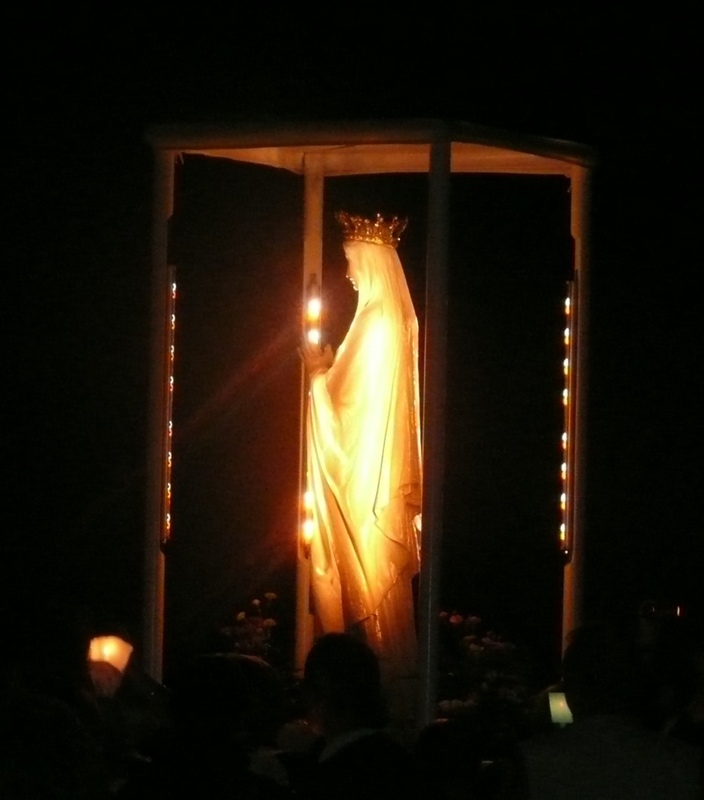 At the end of compline (night prayer) at the seminary we used to sing, with all those male voices, the Salve Regina. 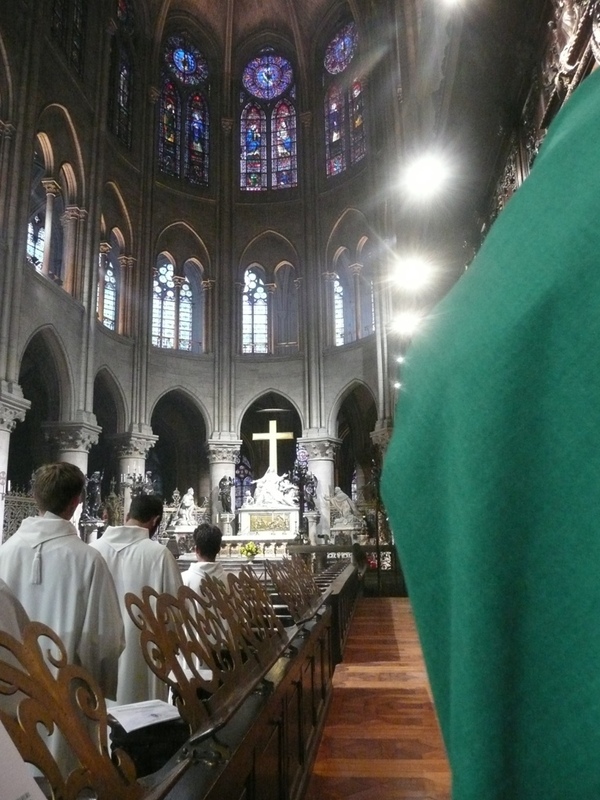 At the end of Mass at Notre Dame I stood with the bishops and the priests at the edge of the sanctuary for the singing of that Latin “Hail, holy Queen.” It was a lovely way to bring our/my pilgrimage to the Marian shrines to a close. After Mass I walked around to get some photos of the Notre Dame. 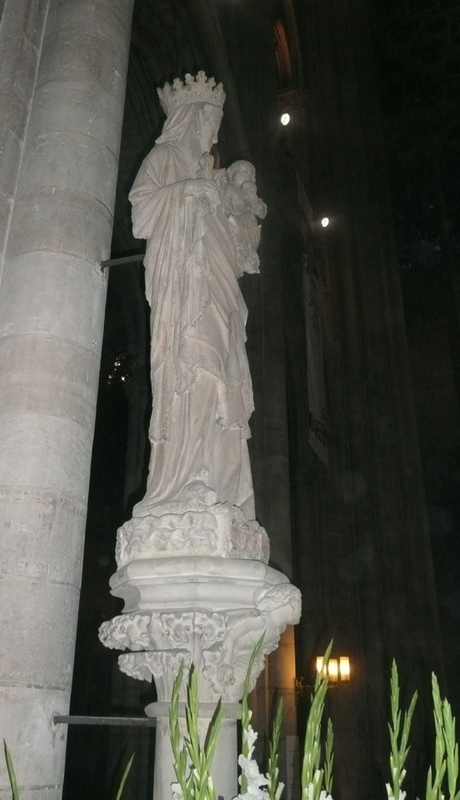 The Archbishop eventually make looking for me. We got ourselves locked in a courtyard as we tried to get out of the cathedral, so may doors and gates they had locked by the time I was ready to leave. But it was worth it to get this photo, right before they turned off all the lights. 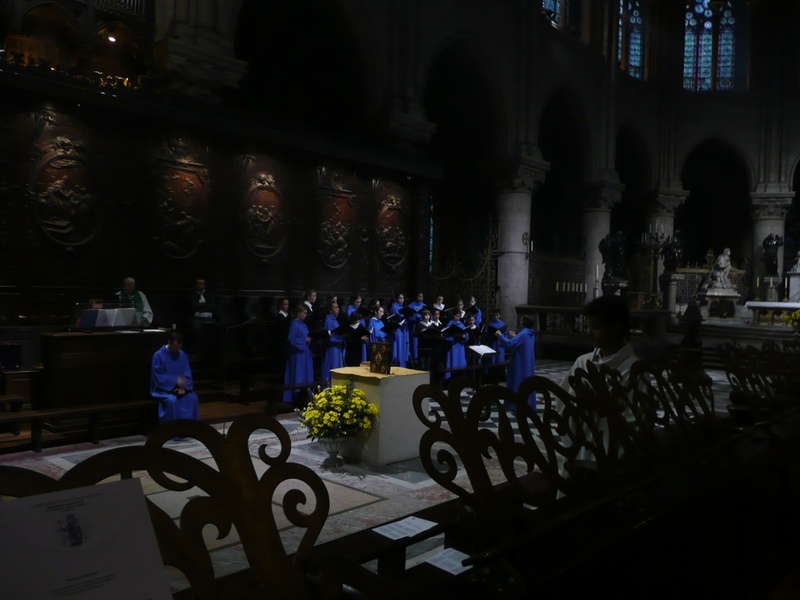 The children’s choir were at the Mass at Notre-Dame cathedral the Sunday evening on which we attended Mass. They were at times as wiggly and squirmy as our kids in our choir, but they did make some lovely music. 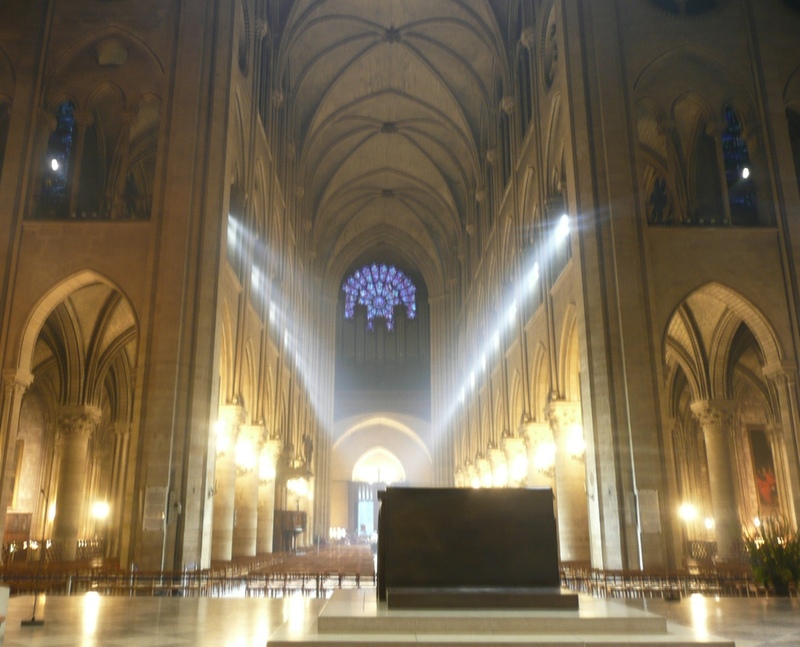 The French priest seated next to me in the sanctuary of Notre Dame motioned to me at the beginning of the “Kyrie” to turn to the right. 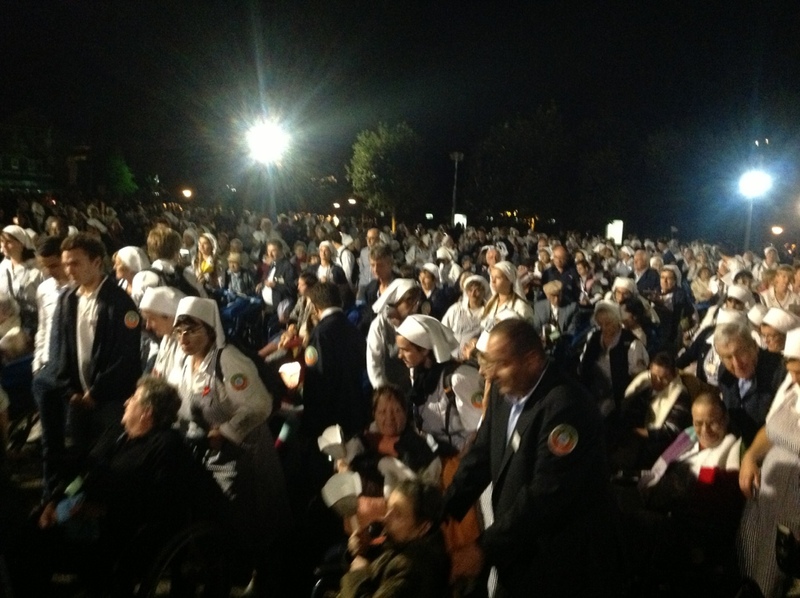 It is the tradition that all face toward the statue of the Pieta for the singing of the ” Lord, have mercy.” Notice how Father Jan elbowed his way into my photo. 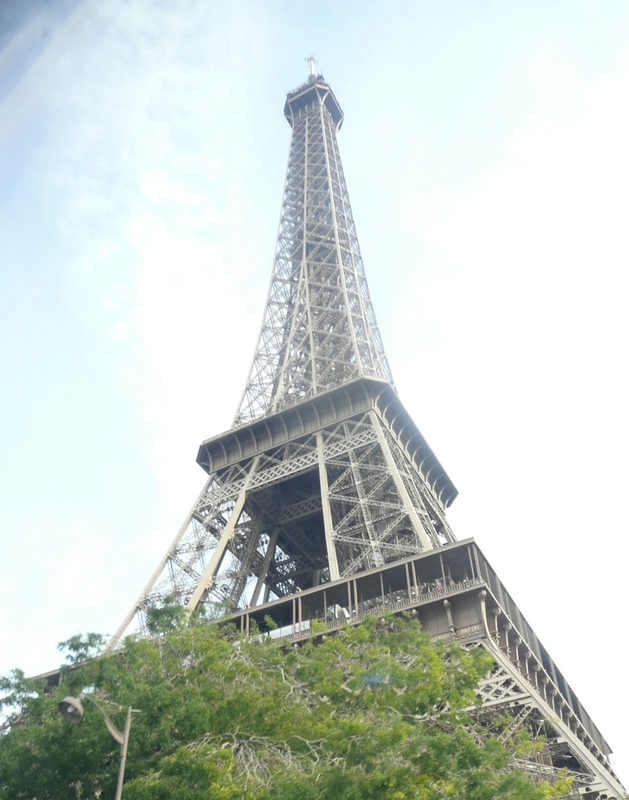 Amazing t think that I actually saw the cathedral of Notre Dame du Paris. 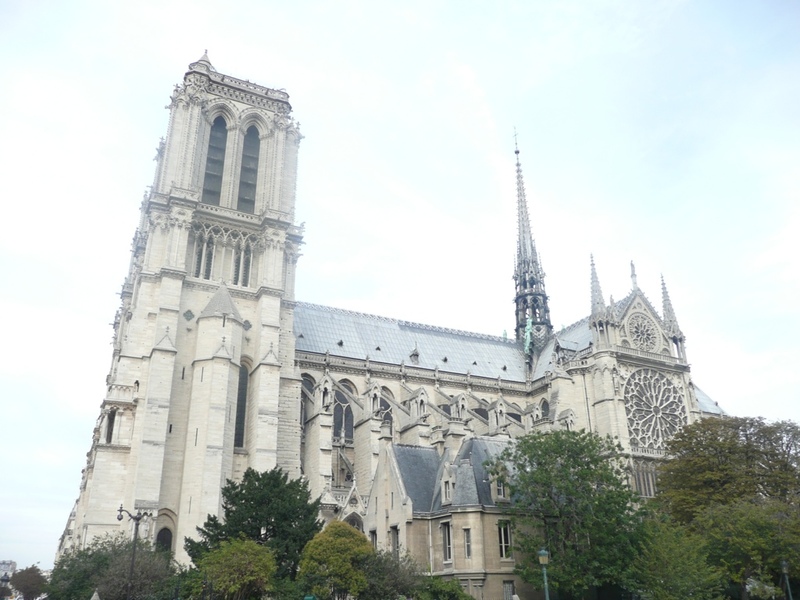 Our pilgrimage ended with Mass at the internationally known cathedral dedicated to Our Lady of Paris. Will I ever get to return? Will others get to arrive? Malades is the French word for the sick. 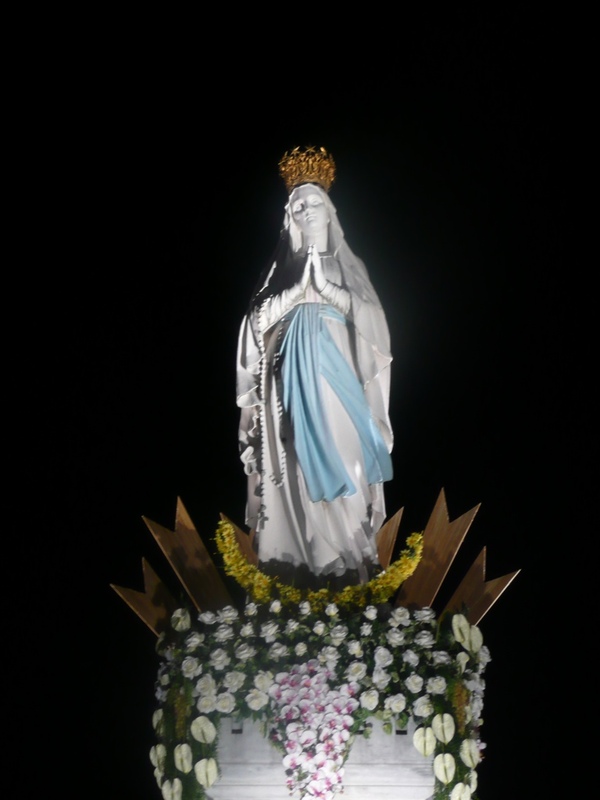 They are the reason for procession at Lourdes and the reason for pilgrimage to Lourdes. 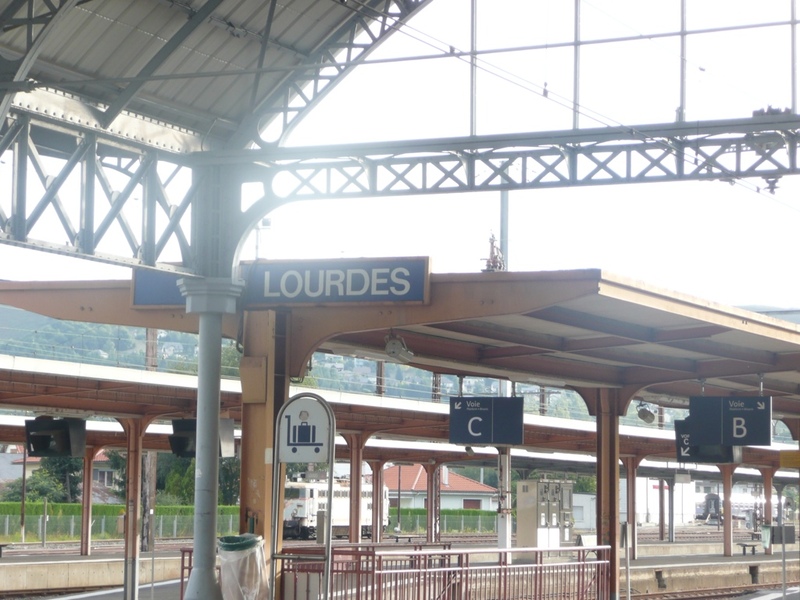 If I am blessed to go to Lourdes again, I must visit the hospital at the shrine, where all the sick are given care during their pilgrimage to Lourdes. There would be great grace in that.